CENTRAL Queensland coal is at the heart of high-level international talks between Australia and China. Chinese officials on Friday confirmed Dalian Port Group had placed an indefinite ban on Australian coal being imported and capped coal imports from the end of 2019. The affected ports accept less than 2 per cent of all Australian coal exports. UNSW economics fellow Tim Harcourt said the move had likely been dictated by China's central government. "China appears to be reminding Australia who its biggest customer is," he said. "Sure, this might just be some little local difficulty - administrative problems in China logistically mean this can happen - but more likely it may be some political power play at work in a state-controlled economy." But Mr Harcourt said it is not in China's interest to derail the trade relationship between the two countries. "Australians do a lot of trade with our giant neighbour to the north, however, we should be calm about this move. It's not in China's interest to spook the markets, and this may be regarded as just a small shot over the bows of the trade ship," he said. The Dalian Port Group will continue to accept coal from Indonesia and China. Industry and government sources have told NewsRegional the matter is being discussed at high level between the Chinese and Australian governments. The Federal Government has tasked Australia's ambassador to China, Jan Adams, with finding out why Australian coal had been singled out. A Chinese Foreign Ministry spokesman, Geng Shuang, said the port restriction was "normal practice" and the restriction was to protect the importer's right and the environment. "China's customs assesses the safety and quality of imported coal, analyses possible risks, and conducts corresponding examination and inspection compliant with laws and regulations," he said. "By doing so, it can better safeguard the legitimate rights and interests of Chinese importers and protect the environment." 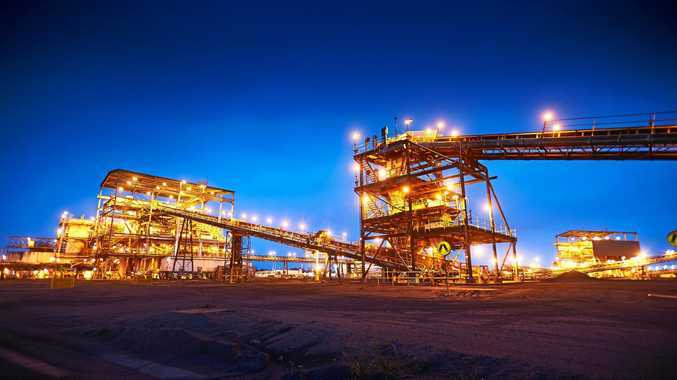 Glencore and BHP both declined to comment on how the restrictions would impact their Queensland coal-mining operations. Prime Minister Scott Morrison denied the import restriction showed a diplomatic rift between Canberra and Beijing. "We will, of course, continue to engage with those local ports and those authorities and work through the same regulatory issues that we have worked through in the past," he said. The restrictions follow a "go slow" being placed on Australian coal at other ports, with Chinese customs taking as long as 45 days to process imports. Earlier this week, BHP stated that was nearly twice the usual time it took to process coal imports. All major Queensland coal ports, including Abbot Point, Hay Point, Gladstone and Dalrymple Bay, export coal to China.